Good morning. It's Thursday, Nov. 29. • Part of the San Joaquin Valley goes blue in House upset. • An anonymous hero adds benches to forlorn bus stops. • And a look back at Anaheim's Ku Klux Klan period. TJ Cox's congressional bid was seen a long shot. 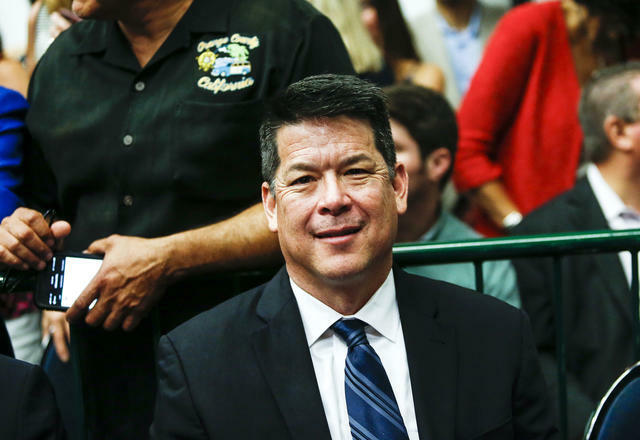 In a stunning upset, Democrat TJ Cox declared victory over the three-term Republican Rep. David Valadao in a district of the traditionally conservative San Joaquin Valley. The race had been so tight that the A.P. initially declared Valadao the winner before retracting the call on Monday. If Cox's lead holds, Democrats will have picked up seven House seats in California and 40 nationwide in the party’s strongest midterm showing since the Watergate era, the L.A. Times reported. Valadao easily carried the district in 2016, but his support of President Trump made him vulnerable to the same electoral wave that helped turn Orange County blue. Republicans will now hold only seven of California’s 53 House seats, the fewest in more than 70 years. Read the story in the Times and Fresno Bee. Eric Bauman, center, has been a fixture of California and L.G.B.T. politics. 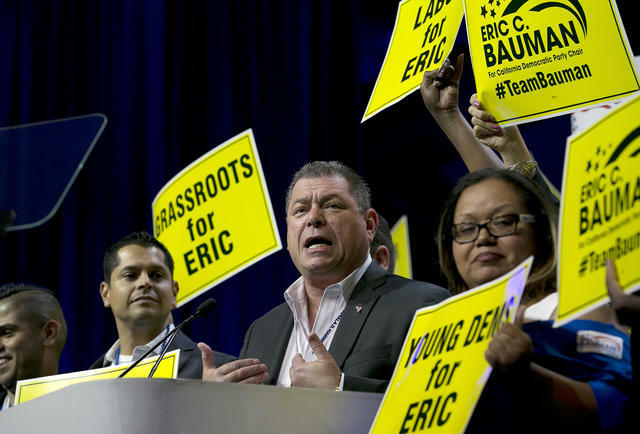 Eric Bauman, the powerful chairman of California's Democratic Party, engaged in unwanted touching and made sexually explicit comments in professional settings, 10 party staff members and political activists told the L.A. Times. Presented with the allegations, Bauman said he'd seek treatment for alcohol abuse. The party's vice chair has called for Bauman’s resignation, citing "horrific and dehumanizing behavior." "Get ready, California." Gov. Jerry Brown once took vows of poverty and chastity and later mastered the drudgery of state government. Gov.-elect Gavin Newsom built a multimillion-dollar wine business and sought out the spotlight as mayor of San Francisco. When he assumes California's top job, Newsom will bring a very different style, including a taste for more liberal policies. A stretch of Skyway in Paradise. • Searchers are reporting no new remains in the areas burned by the Camp fire. Residents could be allowed to return next week. They're being warned to prepare to encounter bones as they sift through their properties. Sacramento Bee | A.P. Casey Watson, left, and his son Daniel Hernandez live in a speck of a town with two manmade lakes in the middle of the Mojave Desert. They like go windsurfing together on the lake, then sit around a campfire and talk about life. 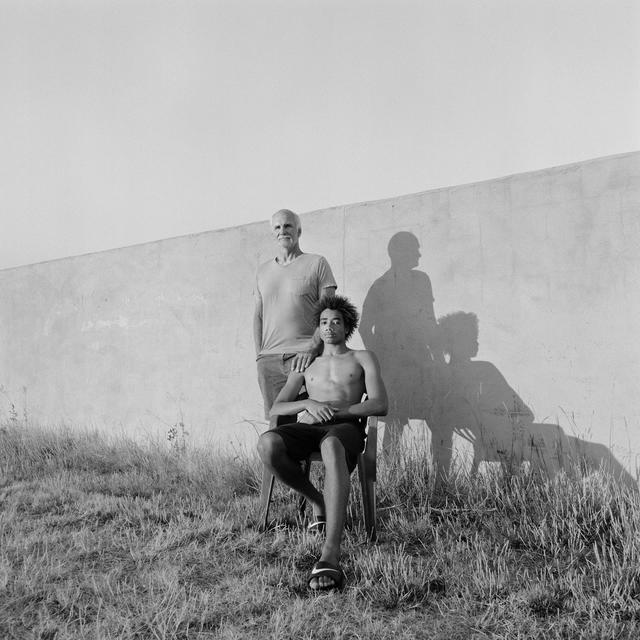 They're featured in a fantastic photo essay that involved 19 photographers fanning out across the West to ask people where they feel most at home. This is a bristlecone pine, perched on the naked slopes of California's White Mountains. 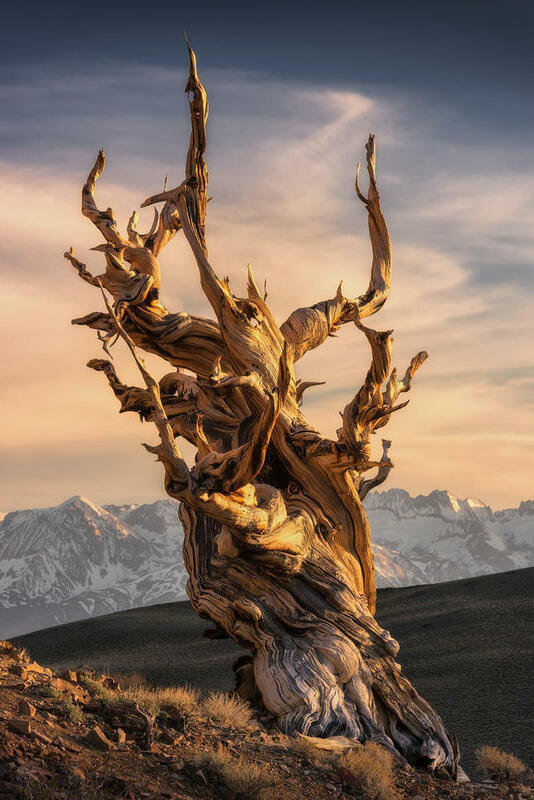 The tortured look of the bristlecone arises when parts of the tree grow and others die off. Rather than rot, the fiercely durable wood erodes like stone against the elements. As old as the pyramids, bristlecones are some of the longest-living organisms on Earth. A 30-year-old homeless woman climbed into a clothing donation box, apparently to retrieve items, then got stuck and died, the police in Petaluma said. "It definitely appeared her body got trapped inside and cut her in the neck and cut off her air supply," an officer said. Similar deaths occurred last year in San Diego and Los Angeles. 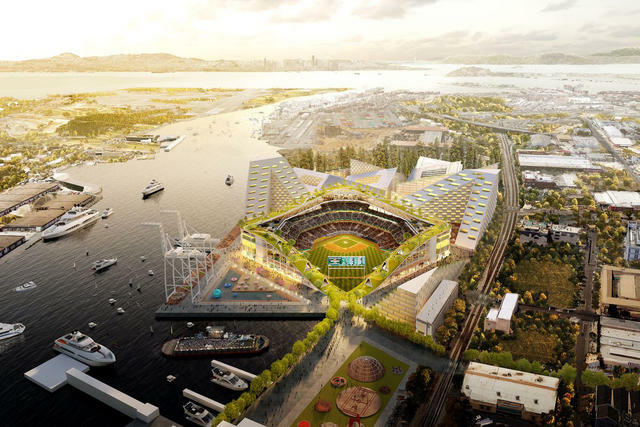 A rendering of the Oakland A's new waterfront ballpark. "We are bringing the 'park' back in 'ballpark.'" The Oakland A's unveiled plans for a futuristic new ballpark that would have a park wrapped around its rim, open to the public at all times. The proposal also includes a tech hub, affordable housing, and a gondola that would shuttle fans to the park from downtown Oakland. The government agency that oversees regional transportation in the Bay Area is holding a $29,000 overnight retreat at a luxury spa resort in Sonoma. The order of business? Affordable housing. "Seriously," wrote the Mercury News in a scathing editorial. "You can't make this stuff up." Angler opened on the Embarcadero lass then two months ago. 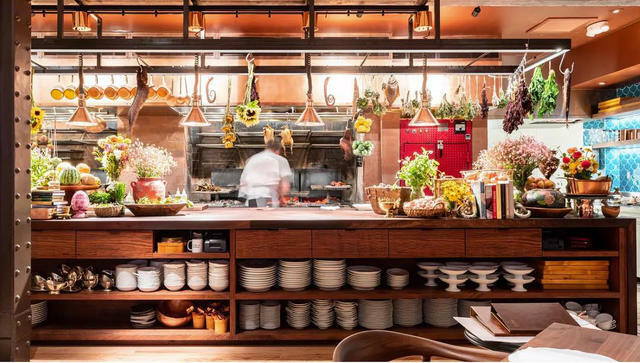 San Francisco has the best new restaurant in the country. That's according to a new ranking by Esquire, which bestowed the honor on Angler, a seafood destination with relatively affordable main dishes — $20 to $48 — and views of the Bay Bridge. Stand by, Angelenos: An Angler outpost is expected to open there soon. An ice cream cart in Los Angeles's Fashion District. 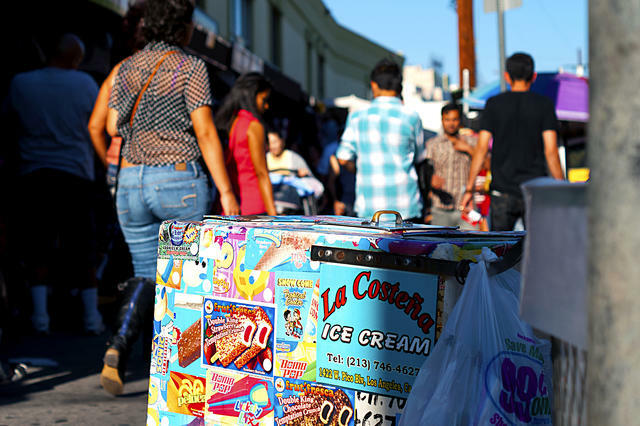 The Los Angeles City Council voted unanimously in favor of rules to legalize and regulate sidewalk vending. Thousands of vendors have for years operated in a legal limbo under the threat of harassment, fines, or, devastatingly, the confiscation of their merchandise. A council member said the vote would "lift this shroud of fear." At Telfair Elementary in the suburbs of Los Angeles, nearly a quarter of students are homeless. In the first installment of a conscience-rattling series on childhood poverty in Los Angeles, columnist Steve Lopez visited a woman living with her four children in a motel — their fourth home this school year. Like some other superheroes, the bench builder prefers to stay anonymous. 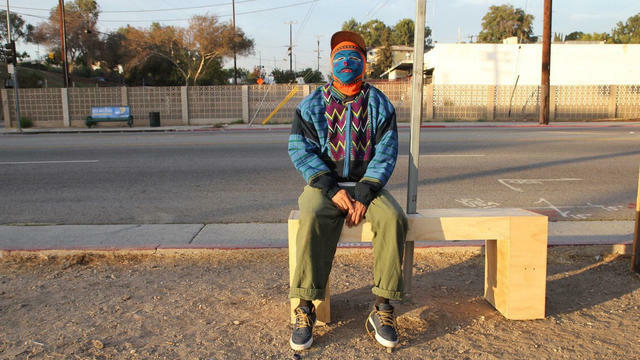 There's an anonymous hero going around Los Angeles and installing wooden benches at neglected bus stops. A reporter tracked him down. He's an artist who says he suffered a knee injury a couple years ago. While at a bus stop with no bench one day, he thought to himself: "If my knee gets better, I'll build a bus bench." Ku Klux Klan members in Anaheim in 1915. The home of the "happiest place on earth" was once controlled by the Ku Klux Klan. 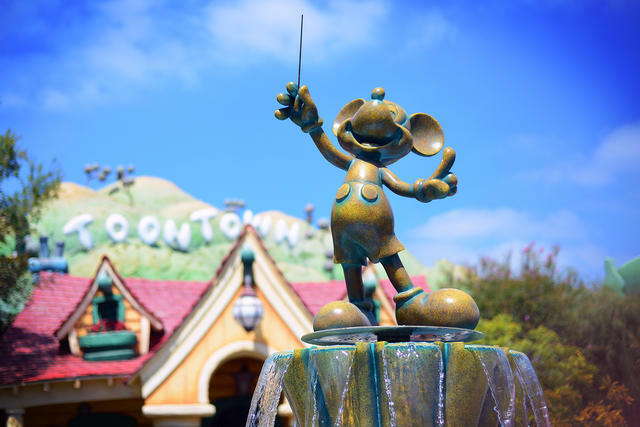 Long before Disneyland's arrival in the 1950s, Anaheim was a sleepy town filled with orange groves and governed by long-standing civic and business leaders. 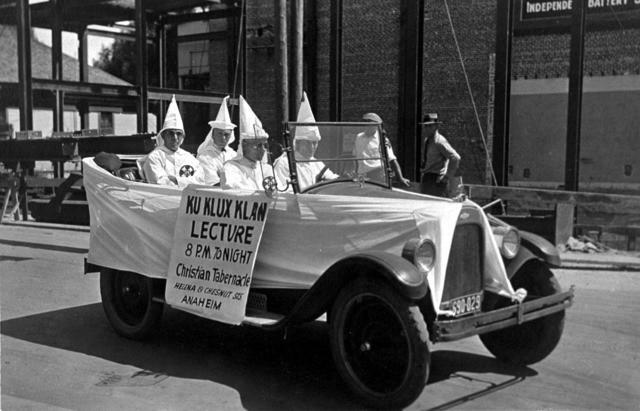 Then a group of Klansmen led by a church minister emerged with a platform to create an orderly community that imposed strict rules against alcohol and other vices. In 1924, they secretly sponsored a slate of candidates for the city council and won four of its five seats. Once installed, they promptly fired numerous members of the old administration. With few minorities in town, the Klansmen focused mostly on opposing Catholicism and bootlegging. The letters K.I.G.Y. — meaning Klansman I Greet You — were added to signs around town. Anaheim transformed into a company town with the arrival of Disneyland. Advertised nationally as a model Klan city, Anaheim was chosen to host a major Klan rally that drew 20,000 people. There was a parade, two rented airplanes that flashed "K.K.K." in electric lights, and the burning of a 30-foot cross. The town grew fiercely divided over the hooded order. A leader of the anti-Klan side bought a list of the group's secret membership, which revealed the four councilmen's affiliation, along with 9 out of the 10 members of the police department and several other city officials. Recall elections were called that stood as a referendum on whether the city would be "Klanheim" or Anaheim. In a vote that drew a 95 percent turnout, the Klan members were resoundingly defeated. Their grip on power had lasted less than a year. By 1930, the group had been all but drummed out of town. Several generations and waves of immigration later, Anaheim is now Orange County's most populous city. Disney dominates much of its economic and political life, the citrus groves are a memory, and the population is about three quarters nonwhite.